Startup companies are generally advised – and are typically celebrating – to embrace the opportunity of partnering with large companies. It is good for access to resources, and it conveys social status. Two things startup companies typically don’t have. In their research note, Vandaie and Zaheer call these partnerships “Bear Hugs”. Their hypothesis: The positive relationship between a small firm’ s capability and growth is weaker the higher the number of large partners in the firm’ s alliance portfolio. In their research sample of 150 independent production studios over 10 years they find strong support for this hypothesis including the moderating factor of the number of large partners (i.e. 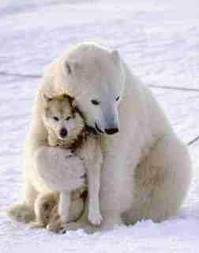 more bear hugs provide less growth relatively). Interesting research with a common sense ring to it: bear hugs are not so good for your small company’s health. Next Next post: Follow learning-by-doing with learning-by-thinking and do 23 percent better!